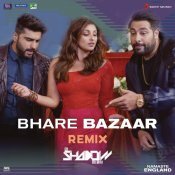 Sony Music are proud to present the brand new DJ Shadow Dubai remix of Rishi Rich’s hit single “Bhare Bazaar” featuring Badshah, Vishal Dadlani, Payal Dev & DJ Shadow Dubai! ARE YOU Payal Dev? Contact us to get a featured artist profile page.